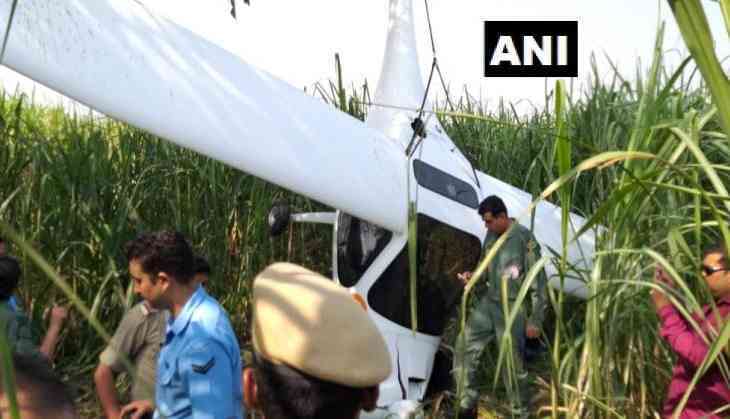 An Indian Air Force aircraft crashes in Uttar Pradesh's Baghpat district in Uttar Pradesh's Bhagpat on Friday morning. Both the pilots in the plane were reported safe. The aircraft was carrying three people on board. The aircraft crash-landed in Ranchhad village in Bhagpat district. The microlight aircraft took off from Ghaziabad's Indian air base in the morning. It had taken off from the Hindan air base. The police have reached the spot.